World Heart Day takes place every year on September 29. The celebration, founded by the World Heart Federation in 2000, offers people across the globe the opportunity to take part in the world’s biggest intervention against cardiovascular disease. We are partnering with the World Heart Federation and American cities to raise awareness about heart disease and stroke risk management. Join us! 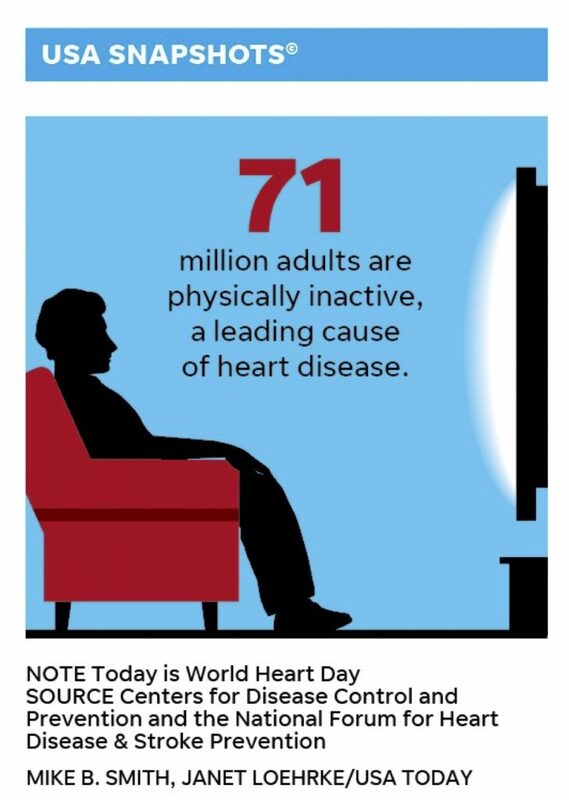 The USA Today Snapshot above marks World Heart Day and the importance of physical activity in preventing cardiovascular disease. It appears on the day that U.S. 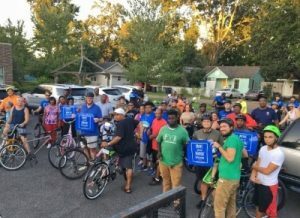 Surgeon General Jerome Adams is joining 50 mayors for a Move with the Mayor event in Columbia, SC and other mayors are holding special Move with the Mayor walks in their own cities. How can you be a part of World Heart Day? Gregory Elementary – 130 E Forest Ave. 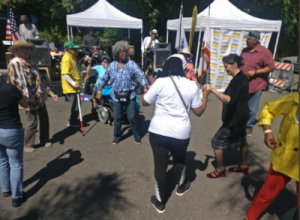 Throughout the month of September, mayors throughout the country are leading events encouraging physical activity and heart health throughout their communities! Here’s a peek. 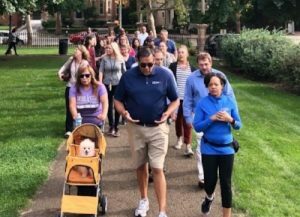 You can check out what all of the Move with the Mayor cities doing by following #MovewiththeMayor on Twitter or FaceBook.